Shakhtar midfielder has visited the SPORT bigmir)net editorial office. 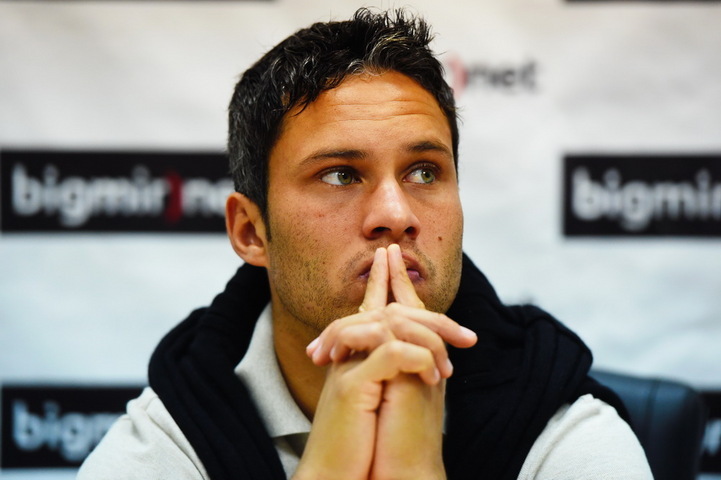 Marlos answered questions from the fans. We bring you the web conference highlights. - It’s quite hard to get to our national team. Because Brazil national team has a lot of skilled players with a lot of competition in my role. Of course, if they ever invite me to defend our national team, I will surely do it. - Should they offer me to change citizenship and play for Ukraine national team, I will gladly agree to do that. Because this is the country with a great culture, the country I learnt to love. - I would highlight Viktor Kovalenko. He is the player who proves himself very well. Viktor deserves to play in the starting line-up of Ukraine national team! I would also note Maksym Malyshev: he produces pretty good results. I think he also has a great future. - There was a funny situation related to Marcio Azevedo. He does not speak Russian at all, and when someone approaches him, he just waves his hands and shouts: “I do not understand anything, I don’t understand it, don’t say anything to me.” Somehow we were approached by another Brazilian footballer, who started talking in Portuguese. Azevedo didn’t understand that at once, so he started shrugging his shoulders and saying: “I don’t understand it, I don’t understand it.” We laughed for a long while. - He is a good man who has absolutely no star fever. I treat him with great respect, because he is older and wiser than me. And in everyday life, Mister can crack jokes and laugh. He is a cheerful and smiling man. - Initially, that’s very difficult. It depends on several factors. It is impossible for a Brazilian to quickly get used to the Ukrainian cold weather. They also practise a more aggressive football here. Everything is different here. Fortunately, my adaptation period passed well, and it lasted for about six months. - To be honest, it's an unforgettable experience. In Ukraine, there is snow, but in my country we don’t have it! Therefore, any Brazilian child, perhaps, dreams to see it some time ever since childhood. To tell you the truth, I thought that when you pick it up, you can keep it for a long time without it falling apart. But in actual fact it turned out to be absolutely different. Like on a different planet! - I would take my son, my mother and a football with me there! - The majority of Brazilian players do not like hard rock, heavy metal and so on. I'm no exception. - You can’t compare me with him, because we play different styles. He is very quick and sharp. I focus on my skill. - The only difference, perhaps, is that the Ukrainian referees sometimes award free kicks and let us play on. For similar things in Brazil they would just show us cards.